Katie Hosmer posted on her blog photos and a story about artist Simon Beck in France where he made snow art of quilt designs in the snow with his snow shoes. 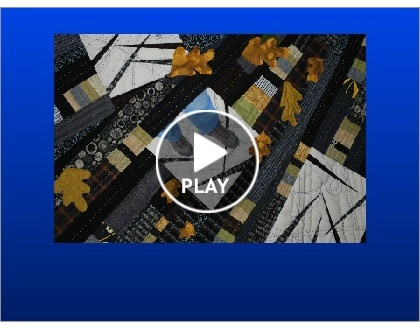 Contemporary Art Quilts: Working in a Series, the work of Carol Taylor is at La Conner Quilt and Textile Museum in La Conner, Washington frm March 28 – June 24, 2012. Working in A Series will feature 51 of Carol’s quilts. “Royal and Regal Hawaiian Quilts” is an exhibit at Honolulu Academy of Arts in Honolulu, Hawaii, through June 17, 2012. Linda Thielfoldt was the guest on The Quilt Show last week, and they have a Smilebox presentation of some of her quilts and garments. “100 Years, 100 Quilts” Centennial exhibit of the quilter’s art in the Arizona centennial year is at the Arizona History Museum in Tucson, Arizona. The quilts will be shown through March, 2013. 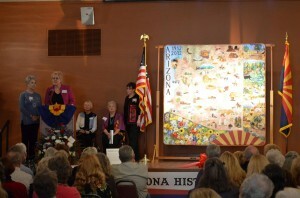 “100 Years, 100 Quilts” will be on display all over the Tucson branch of the Arizona Historical Society. 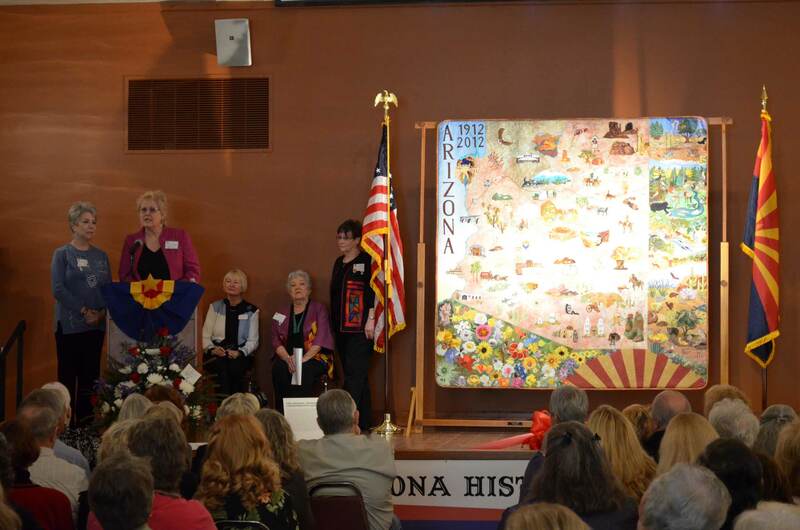 The exhibit was brainstormed by the Arizona Centennial Quilt Group in partnership with the Arizona Quilters Hall of Fame and the Arizona Historical Society. Coffee is our Friend is at Klamath Art Gallery in Klamath Falls, Oregon, through March 25, 2012. This exhibit is a one-artist show featuring photo images on fabric, including transfers on vintage cloth, framed pieces and art quilts. “Bridges” was a special exhibit by the Quilts on the Wall: Fiber Artists at Road to California, January 2012. 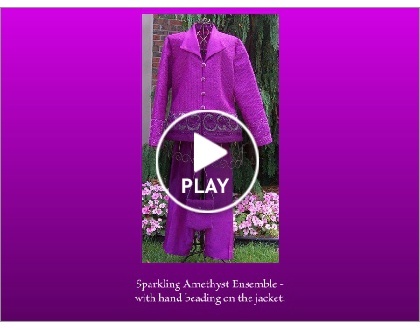 This is a Smilebox slide presentation by The Quilt Show. The annual Indiana Heritage Quilt Show is showing in Bloomington, Indiana, at the Bloomington Convention Center. I just found out that my friend, Birgit Schueller, has won a second place award with “Splash” in the Wallhanging category at the Indiana Heritage Quilt Show! She sent me photos, but for some unknown reason, I can’t get them to publish in this post. I’ll keep trying to add them. “The Loading Dock” by Mary Buvia was the Viewers’ Choice Winner at the 2011 Show.